Seek the source of sabotage! 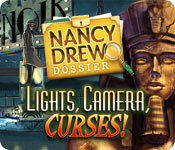 Nancy Drew Dossier: Lights, Camera, Curses is rated 4.2 out of 5 by 15. Rated 5 out of 5 by JulzCat from A Must Have For Nancy Drew Game Collectors My daughter and I have played all the Nancy Drew large file games, but this was a nice and lite departure from the usual. It was definitely challenging, given there were no skip or hint buttons (it got kind of tough toward the end). 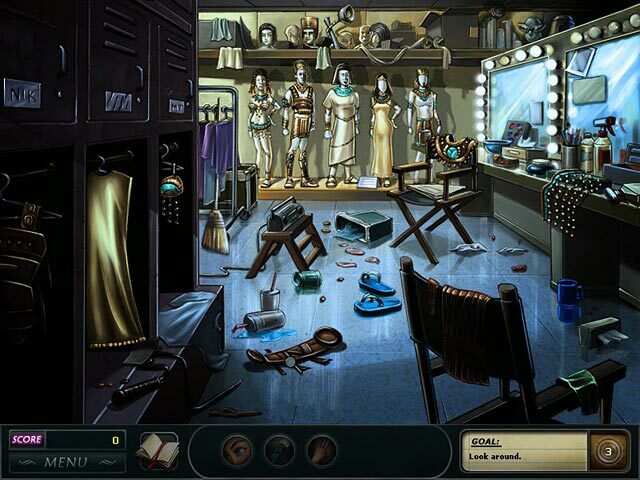 It was quite original, too...like no other hidden object game I've ever played. Plus, there was a cool surprise ending and some funny "blooper" scenes. A fun game! Rated 5 out of 5 by pinkspott0 from Wowee! (Not even sure that is a word). This game, I completed in less than a day, which is surprising for a Nancy Drew game (with my ability) but this new gameplay. I found it much easier to complete the levels, I knew they were a number of items and I liked the fact that items had to be chained together. If you have never tried a 'dossier' game, then do, it is easier, the storyline is still as good, if not better.. The only thing is I missed the choice and flexibility in the game play, it fit with the storyline but I prefer to walk through the game myself at my pace. Play it. New Nancy Drew gamers or those who want a new challengers. It will definitely please the detective inside you! Rated 5 out of 5 by HoudiniCats from A different Nancy Drew The Dossier series from Her Interactive combines the HO format with adventure; these games are easier than the typical Nancy Drew games, but they are every bit as wonderful in their own right. Here, Nancy goes to Hollywood to investigate a series of accidents bogging down filming a movie. 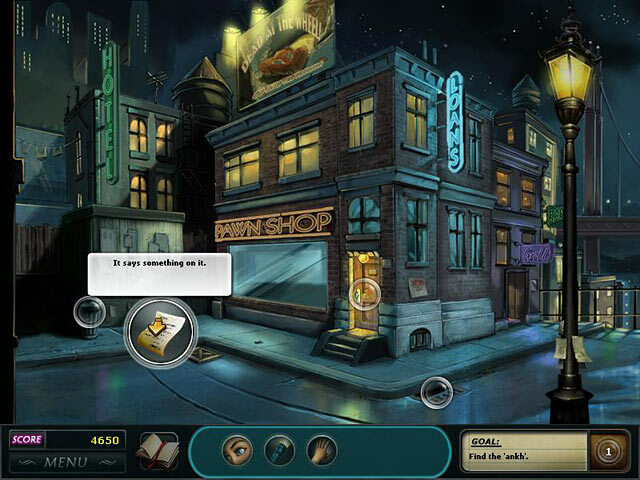 Lights Camera Curses features a terrific plot,voice overs that rival the very best in adventure games, and wonderfully noirish graphics that complement the theme. As an aside, if you liked the Nick Chase games--especially the first one--you'll love this game. The art work for example, is remarkably similar and though I didn't check the credits, it's entirely possible the same hand did both. The music here is jazzy and terrific, too. And, as one did in the Nick Chase series, one hunts up objects within the scene and then uses them to solve each part of the storyboard. It's not a difficult game--about the only really tough thing is beating some of the games against the clock--but Nancy Drew fans are used to having to do that. Sparkle hints can be turned off--althought the first time through --especially when you have to find all those candles and light them quickly enough-- you may be glad you've left them on! It's a terrific game and it really holds your interest. It may be kid approved, but adults will love it, too! One final word about voice-overs because they are so outstanding--more developers ought to hire talent of the same caliber as these actors. Simply fabulous and a real delight to listen to--especially since the dialogue is also very well-written. Rated 5 out of 5 by Sergeij from A Real Joyride from Beginning to End! This Dossier Series is "off the beaten track" Nancy Drew. Totally different from the usual "look around and pick up clues" format, the Dossier Series has the player using two implements in a room that will go together to keep the game going. And....throw away your walkthroughs! You won't need them with the Dossier Series. Although there are some maddening areas where things get a bit difficult, all can be solved without having to resort to outside help. I only wish that the developers would work further on this series and bring us about 25 more Dossiers! I'm now playing the only other Dossier game available in the Drew Series, "Resorting to Danger," and it, too, is a gem! I can't say enough about this marvelous part of the Nancy Drew persona! Rated 5 out of 5 by Rescue_helo from A Nancy Drew not quite like the others There is a difference between this "Dossier" and Nancy's other investigations that come in Large Files. "Lights, Camera, Curses" is much closer to the more simple type of casual games which are released everyday, such as HOGs and mixed games [HO/Adv], except that this is not a HOG like the others as you have to find objects without the help of a list or silhouettes This forces you to figure out what you need and how to use what you've picked up. This feature is present in the Large File investigations but to a much lesser extent. The rest is fairly similar and has the same high quality. The graphics are top-notch, extremely well crafted, detailed, colorful and the soundtrack is perfectly adapted to the story. Nancy interacts with the different characters by means of dialogs; depending on which phrase you click the reply will be different. But Nancy's replies have to make sense else the other person won't know what she is talking about. Dialogs are important to collect clues and receive information relative to the case. Reading notes and listening to gossip serves the same purpose. The numerous puzzles and minigames are all good fun to play; they come in a large variety ranging from classics to innovations. There is an originality which you won't find in her other adventures: you earn points [as a measure of your progess] by giving the right answers in a conversation, doing certain things right, solving the puzzles and playing the minigames. If you obtain enough points, you will unlock a special ending [easier said than done...!]. The relative simplicity, by comparison with the Large Files, as well as the absence of major difficulties makes this game an ideal and accessible introduction to the world of Nancy Drew. Rated 5 out of 5 by gingergal from Fun game, different gameplay makes this an intriguing game I loved this game. 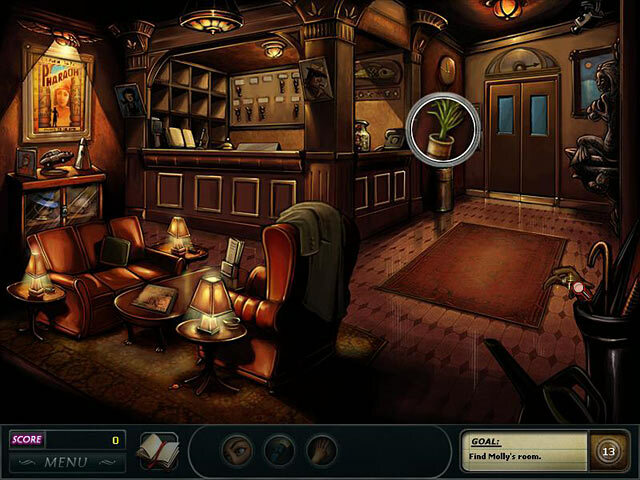 The dossier games are completely different to the normal Nancy Drew games - lighter more fun. I was expecting the normal nancy drew (the frustration and back and forth to see what you do in what order, which wastes time. I still like them though!) but this was so different. It's more linear, clear what you have to do. Sparkles which I usually hate, were helpful here* and only showed up once your cursor went over it. It was fun, from the graphics to the puzzles, more laid back than the 'normal' Nancy Drew games. I was dreading the snakes but those turned out to be very cartoonish and I was OK with them. I liked that you had try for achievment which changed the story at the end - *Clicking on the right order of things in a scene gave you bonus points. Also you got bonus points for following the plot, if you answered the questions correctly. There are 3 (I think) different timed areas which was very tight. And I understand the frustration they caused. There was the crows, and then lighting the candles which you had to replay later and the timer got even tighter. There should have been a skip button for them. But I printed out the crows screenshot (search for it in a walkthrough) which really helped. when you finish all the puzzles open up for replay. For a completely different type of gameplay, fun not hard (apart from the timed areas) I give this an A-. If you could skip the puzzles and timed areas, I would give it an A. Rated 4 out of 5 by J9CT from Some real detective work!!!! For once one had to do some real detective work for a change instead of just finding inventory. You have to interview a lot of people and they lie to you which is exactly what people with an agenda or something to hide will do. This was very different to the usual HOG's so it makes for a nice change. Finally, a game where the ending is not given away right at the beginning. Rated 4 out of 5 by Linny394 from It's Up to You as Nancy Drew This time Nancy is pitted against a saboteur on a movie set. Although this is a great game for Nancy Drew lovers, some might find the point scoring system used throughout the game annoying. I wouldn't say that this game is very difficult at all as all the tasks can easily be completed using common sense as well as by paying attention to Nancy's comments about what needs to be done. I found the graphics to be fairly good quality, though a bit more on the cartoonish side than is seen in the usual mysteries.